19 years into the 21st century, and more than half of commercial real estate executives are embracing technology according to the 2018 DNA of #CRE survey conducted by theBrokerList and Buildout. 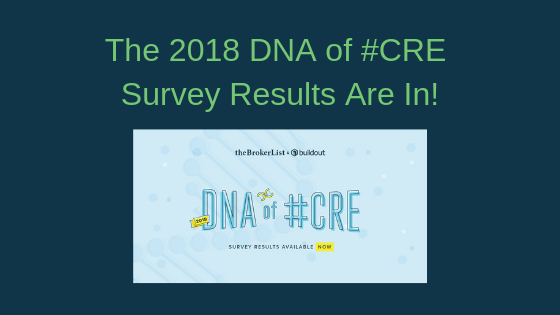 For the last four years, theBrokerList and Buildout have conducted an annual survey, the DNA of #CRE. The study takes a deep dive into how real estate brokers and marketers conduct their business. It explores the demographics of the industry, how we spend our time, how we get new business, the tools we use, predictions for the future of CRE and so much more. The results of the 2018 survey were just released. As a broker, I like to use the survey results to benchmark my company with the other respondents. As the founder of a real estate technology company, I like to see how the industry uses existing technology, and what’s on their wish list for the future. It’s these wish list items I’ll focus on here. The information below comes from the infographic, raw data, and appendix for this year’s DNA of #CRE results. More than half of the respondents said that they use technology for the following (in descending order): find and list space (90%), email marketing (77%), document sharing (73%), source date (68%), CRM/relationship management (64%), electronic signatures (62%), and marketing software (58%). Other top tools are video and photography software (36%), and commission and back-office software (26%). Unsurprisingly, CoStar and LoopNet are cited as the top sources for property information. They’ve been around a long time, and arguably created the online commercial real estate information industry. Numerous other services, including QuantumListing, are making inroads, though. 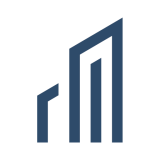 CREXI, theBrokerList, Catylist, OfficeSpace, 42Floors, Brevitas, RealNex, RealConnex, QuantumListing, Leavitt Digital, Rofo, Harken CRE, RealMassive, RealtyZapp, Spacelist, and Koss Resource are all cited by respondents as top listing sites. LoopNet is cited as the most valuable site, because of the exposure that it can provide its premium subscribers. The up-and-comers cited in the above paragraph have made inroads in this space—and when you conduct a Google, Bing or Yahoo search for a property, you are as likely to see one or more of these names in the search engine results. This competition is healthy for our industry, as competition should improve the quality of information, the range of features, and put downward pressure on the price of information. That’s a lot for any technology company to digest! What’s the best way for CRE tech companies to provide the industry the features it wants? There are probably as many answers to that question as there are CRE tech companies! QuantumListing’s approach is to provide features related to listings in an affordable and easy-to-use service, and work with other tech companies on syndications and integrations to enhance what we do. This gives our members and visitors a range of options that puts them in control of the types of services that they want to subscribe to and use, as well as the expense. In addition to the vast array of features QuantumListing offers, we already have a stellar line up of collaborators and partners that includes StackSource, Buildout, theBrokerList, Sharplaunch, Leavitt Digital, Digsy, CRE Radio & TV and CRE Collaborative. In the coming weeks and months, we’ll continue to grow both our own features and those offered in conjunction with our various partners. Keep an eye on our blog for coming announcements! Poll Results: Where Are You Going to Watch the Super Bowl?